Unmatched beauty lies in the snow-kissed mountains, glacial lakes, fjords, rivers, valleys, and lush forests of Alaska. Visiting this majestic wilderness isn’t a question—but how you want to explore it may be a slightly tougher decision. With multiple trip options, you can make your Alaskan journey your own and ensure you return home with unique personal memories that will last a lifetime. With Alaska Motorhome Rentals, your visit to the last frontier will be distinct from any other traveler’s. Set your own pace behind the wheel of an RV and gain the freedom to choose your destinations and stay as long as you’d like. Live comfortably while on the road in a late model Class C motorhome, which comes equipped with bathroom and kitchen amenities. 21 to 31 foot motorhomes are available, offering you the option to sleep 2-6 passengers with ample privacy—so go ahead and bring along family or friends for your unforgettable Alaskan road trip! Yet, the best aspect of renting a motorhome is the liberty at which you decide your route. 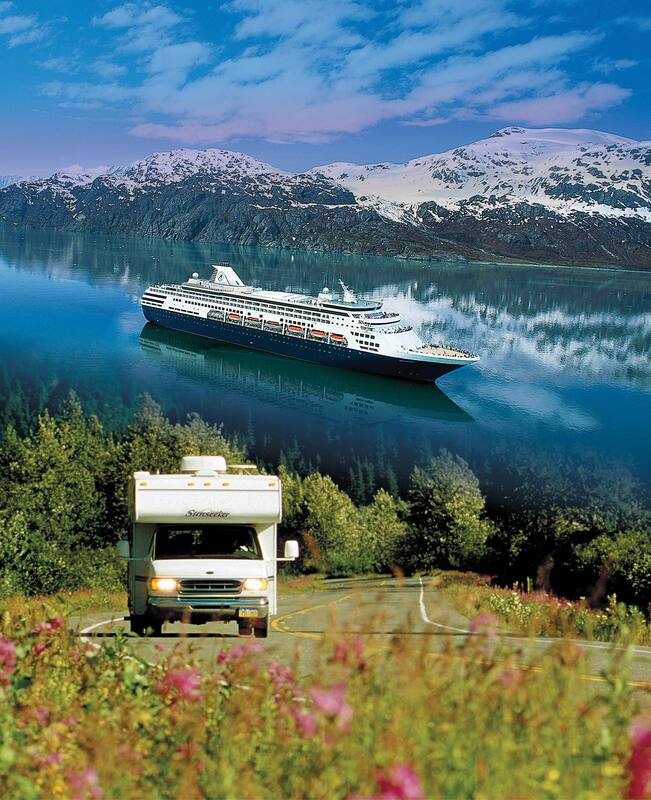 Make your visit completely yours with Alaska Motorhome Rentals and discover the destinations of your dreams! If you’re the kind of traveller who wants to experience it all, consider an Alaska Highway Cruise tour. See some of Alaska’s most famous natural features by land and sea with an ocean cruise and RV rental combination. You can choose from five different tour options to create your itinerary, each involving a different route and length. From 11 days to just under a month, you decide how much time you want to explore Alaska’s natural wonder! Cruise the famous Inside Passage, drive the scenic Denali Park Road, or follow the old Gold Rush paths through the Yukon. Best of Alaska Tours and Attractions are offered in nearly every major city and the Yukon territory, there’s plenty of opportunities to immerse yourself in nature! Don’t miss a thing with the chance to see both Alaska’s rugged coast and pristine interior—look into a cruise/RV combination tour with Alaska Highway Cruises. Once you have decided to visit Alaska, figuring out the best way to take in the sights and sounds of this vast wilderness is the last step. For more information on Alaska Motorhome Rentals, Alaska Highway Cruises, or tours throughout Alaska and the Yukon territory, visit BestofAlaskaTravel.com to create your unforgettable adventure now!